60 km away from Timişoara, only a short distance away from the Serbian border, is the Giera commune, documented in existence since 1332. Right on this village’s main road, at the house number 91 is the cereal deposit, with its wonderful architecture, reason for which it was declared a B category historical monument. 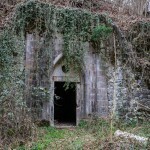 In 1332, Giera was the property of the Cenad family and it went under the name of Guer. At the 1717 census, in Giera there were 12 houses with Serbian occupants and an Orthodox church (built in 1667). Since 1795, the domain (including the Toager, Grăniceri and Livezile villages) entered the possession of a rich Armenian family Gyertyánffy and got the name of Gyer. 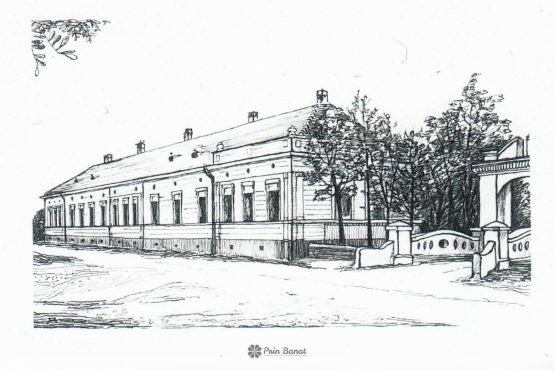 In 1829, Lukács Gyertyánffy builds a mansion in Giera, which exists even today having the house number of 44, right across the road from the cereal deposit. Lukacs also built a mansion in Grăniceri, which today has been turned into a memory. According to the Torontal Committee monograph, written by Borovszky Samu in 1912, each mansion belonged to the Gyertyánffy family, each of them having a library of 2500 volumes and in Giera there was also a small hotel and even a brothel. 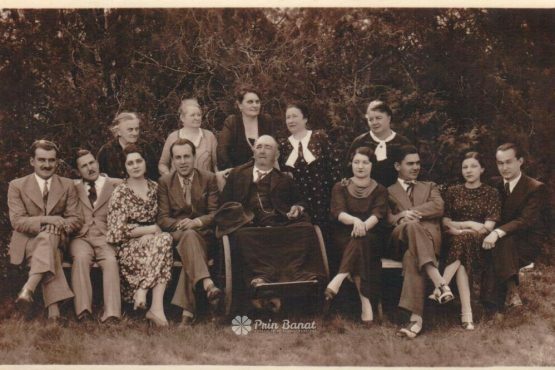 The last meaningful descendents of the Gyertyánffy family were the landowners named Laszlo and Andor. The lather was the one who built the cereal deposit in the 19th century which had a capacity of 700 tons during its working days. Laszlo lived until 1947 and his wealth was divided between his three daughters: Maria, Gabriela and Elisabeta. A year later, all the family properties were nationalized. After 1989, the cereal deposit is returned to Maria (source), today being the private property of a local company (from where you can get the key to this historical monument). Unfortunately, time has left its mark upon this cerea deposit as well as on the Giera mansion, both buildings being in an advanced state of degradation. You can get to Giera from Timişoara by car, through Deta, on DN59 / E70 and then on DN59B (see map), or through Giulvăz, on DJ593. Other objectives that can be visited in the area: the Banloc Castle, the Gudenus Mansion from Gad or the Mocioni mansion from Foeni. 1 comment at "The cereal deposit from Giera"